As we head into 2018, we highlight two new methods to help conserve natural systems and engineer complex systems that work for us. There’s a good chance that you’re reading this post on your mobile phone. You may have logged into your phone with just your fingerprint. Perhaps you’re at home and to relax, you have asked your Alexa device to search the web to find out where what movies are playing at your local theaters this weekend. In ways big and small, obvious and hidden, digital technologies are transforming our lives. We not only carry powerful computers in our pockets, we also live in a world with smart and increasingly interconnected systems of devices, or the Internet of Things. Smart, connected devices are not only redefining business and industry—they are reshaping human behavior, writes Azad Madni in a professional book published by Springer. But with the worsening environmental crises we face globally, shouldn’t we also use these digital technologies to conserve natural systems? We can and should, says Lucas N. Joppa, chief environmental officer for Microsoft. 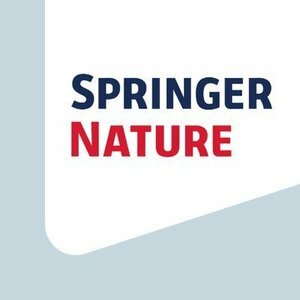 In a comment piece published in the December 21/28 issue of Nature that’s one of our editor’s picks this week on the Grand Challenges portal, Joppa argues that artificial intelligence developed to monitor human activity—algorithms that link people to each other, to products, to information — could and should be used to generate critical environmental data. Algorithms developed for low-cost camera software in smartphones could yield high-resolution maps to better plan local land use. Deep-learning algorithms can help ecologists inventory threatened wild species. Neural network algorithms can now help farmers automate precision weed-detection and removal systems. Individual technologies can help address grand societal challenges, and so can networked technologies – a world where devices and equipments are connected into systems (the Internet of Things), and systems are connected with each other into systems of systems. To design and build these complex systems, engineers need methods that go beyond traditional engineering methods, argues the author of a new professional book from Springer. Today's engineering grand challenges in health, sustainability and other areas can be addressed using this sort of engineering, Azad Madni writes in Transdisciplinary Systems Engineering: Exploiting Convergence in a Hyper-Connected World. Madni, who directs the systems architecting and engineering program at the University of Southern California, argues that in an age of autonomous systems, the Internet of Things, and interconnected systems of systems,, engineers need to use more than the math and science they’ve traditionally used to solve thorny problems. Instead they need a new approach to engineering that incorporates methods from a wide range of disciplines, including computer science, social science, human studies, and systems design, as well as virtual reality and interactive storytelling. In a world filled with ever more powerful technologies and seemingly ever-worsening environmental crises, we need to think hard about how we employ our technologies. We can make our lives more comfortable as natural systems decline, or we can work harder to deploy today’s powerful technologies to preserve the natural world. The good news is that we now have many of the technologies we need, and we’re coming up with ways to wrangle complex systems to positive ends as well. Since we launched our Grand Challenges portal this fall, we’ve highlighted an array of exciting ways to harness science and technology to address society's Grand Challenges. In 2018, we’ll highlight many more, and we’ll feature commentary that aims to help illuminate paths forward toward viable, evidence-based solutions. Best wishes for a happy, healthy new year, and see in you in 2018.